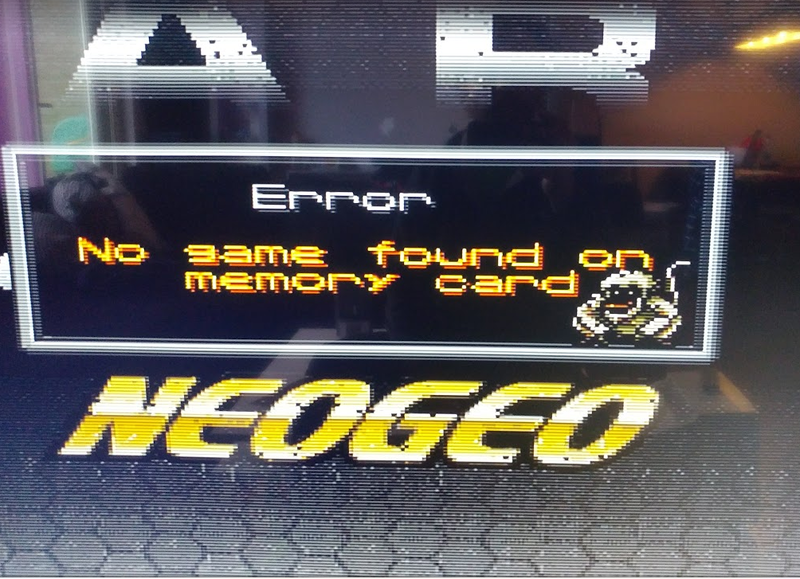 What are the Neo Geo Roll-Up Packs? 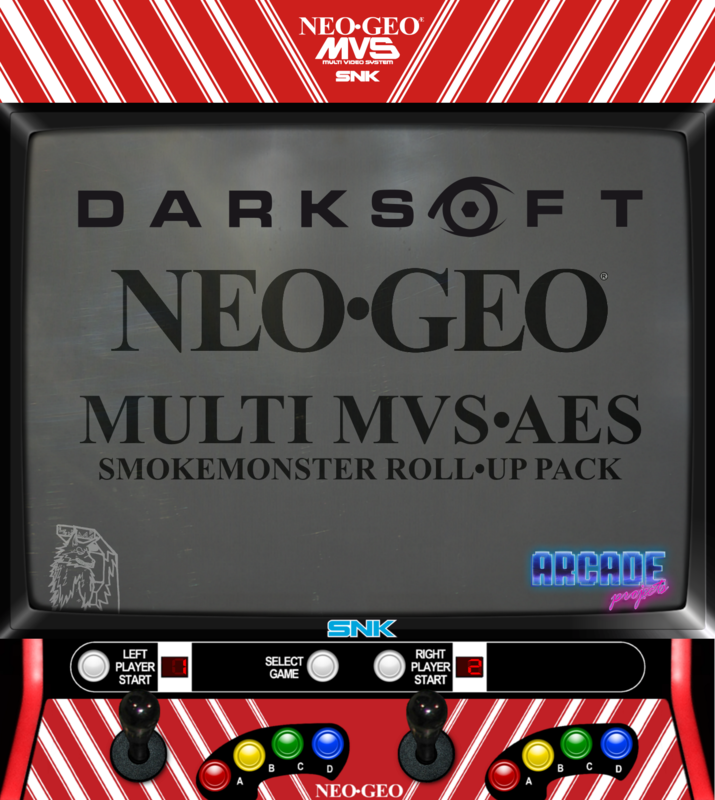 The Roll-Up Pack List is a record of known ROMs that can be placed on an SD card for a complete Darksoft Neo Geo MVS & AES Multi setup. It includes every Neo Geo MVS/AES game that is playable on the Multis. I'll update my lists whenever new content is available. Format a microSD card as FAT32 using Windows, not Mac or Linux. The most common problem is SD card incompatibility. Test multiple cards and see here for suggested brands. Format every time you update your card, before copying new files to it. Please note that I am not sharing these files. I only create SMDB text descriptions of ROM organizations through a Github Research Project. - Updated menu to 04/02/2018. Removed broken Metal Slug 2 Turbo. - Initial release. MAMEUI audits all 'neodriv.hxx' and 'neopcb.cpp' sets as complete, minus Last Hope (because I removed it). A huge thank-you to @Zarradeth for the help with MAME! Everyone who helped me get Neo Geo & STV Multis! The post was edited 9 times, last by SmokeMonster ( Mar 4th 2019, 6:35pm ). Homebrew, etc Add-on: All non-MAME Public Domain Homebrew, Hacks, Demos, Intros, Tools, etc, that I've collected over the years. And it's in the quote above! Trying to download for the third time, connection keeps getting dropped before it finishes, is that just me? Had the same issue but the retry option in firefox helped. Maybe the site has to handle too many download requests atm (the download speed is very slow, too)? Looks like its subject to some traffic or potentially throttling... I'm bouncing between 800k/s and 100k/s. THIS is the version to mirror, to the person who offered to seedbox my early beta. The post was edited 1 time, last by SVM ( Feb 10th 2018, 11:19am ). This is initial release Beta 1, so it's absolutely not final. It's basically just a very rough sketch of what the final pack will be.